MB&G botanists are experts in conducting rare and sensitive plant surveys, vegetation community assessments, and noxious weed surveys. Our team includes expert botanists thoroughly familiar with threatened or endangered plant species in the Pacific Northwest. 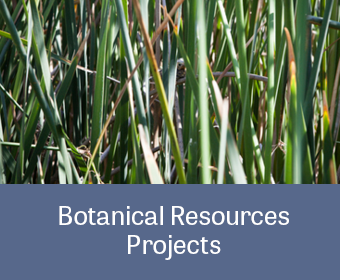 MB&G utilizes current botanical literature, databases, reference site visits, and interviews with local botanical experts to optimize field survey scheduling for accurate species identification and presence/absence determinations. We are skilled in locating and mapping rare plant occurrences and potential habitat with the latest global positioning system (GPS) equipment and geospatial software. Our expertise includes the design of avoidance and relocation plans for sensitive plant species and the development of best management practices to restrict the spread of noxious weeds. We have extensive experience in the preparation of site restoration plans that are tailored to local species and site conditions.